It’s that time of year again folks! 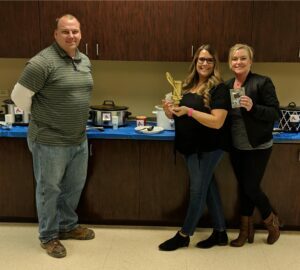 Time for NOVA Kennesaw’s annual chili cook off. This year, we had 11 contestants that brought their “A GAME” to competition, and Tammy Zeholla continues to hold on tight to that first place title (for 2 years in a row)! After a tie breaking vote, Derek Wilga was awarded second place. Last but not least, Tracey Marino took third place… for the third year in a row!